The officials of National Health Mission has released the NHM Haryana Recruitment 2018 Notification. Aspirants who wish to grab the Specialist Doctors jobs must check out the entire article so that you can get the application form for the next process. The राष्ट्रीय स्वास्थ्य मिशन of Haryana invites the contenders to fill the Specialist Doctors post on contract basis available at the Civil Hospital, Haryana. Furthermore, you can get the valid information relevant to the notification released like the eligibility criteria, selection process and besides the post-wise vacancies offered by the organization. So, we request the contestant to hurry up as there are only 47 Specialist Doctors Vacancies. They have mentioned the notification date from 2nd July 2018, and also the Walk-in Date is on 8th August 2018. We heard that many of the contestants are eagerly waiting for the NHM Haryana Recruitment 2018 notification and even for the Government Jobs. So, here is the best opportunity for the candidates. We are here offer you with all the essential information relevant to the राष्ट्रीय स्वास्थ्य मिशन Haryana Recruitment. Also, the officials have scheduled the dates for the notification as well as the walk-in time. So, check every section of this page to grab the information that is very helpful for the recruitment. Also, one can find the appropriate link for the official notification of the National Health Mission. For more information regarding the Notification, one can navigate to the official site @ www.nrhmharyana.gov.in. Before going to the subsequent sections, all the contenders need to examine the above table to grab the summary about the राष्ट्रीय स्वास्थ्य मिशन Recruitment 2018 Notification. The chart provides you the data like the Name of the organization, Name of the post, number of openings available for the opportunities together with the significant dates for the analysis. Even the dates for the Notification is also entitled. To gather more information concerning the NHM Haryana Recruitment 2018, you can also jump to the above given official site address. More NHM Haryana Recruitment 2018 details are given below. 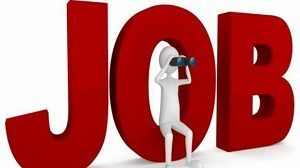 Contenders must satisfy the below Eligibility Criteria given for the NHM Specialist Doctors Recruitment 2018. So, every candidate who wants to get into the selection process must meet the below criterion. Educational Qualification – Aspirants must have passed Medical Degree or Post Graduation from the recognized Organization or board. Age Limit – All the contenders, must satisfy the age relaxation and also the limit assigned by the officials. Furthermore, the Age limit is briefly explained in the official site. We request all the aspirants to download the notification for the recruitment from the official website of the NHM Haryana. Contenders should know the valid information regarding the openings offered by the राष्ट्रीय स्वास्थ्य मिशन organization, Haryana. We suggest candidates that they should meet the information about the criterion before applying for the 47 Specialist Doctors Vacancies. So, all the competitors need to fill out the application accurately. Remember that the application which is received after the end date, then the officials will not permit those candidates. So, keep in mind that there are only few Specialist Doctors Openings and then apply. Furthermore, you can also get the vital information from the official site @ www.nrhmharyana.gov.in. All the contenders who fulfill the eligibility can have the entry into the selection process. The contestant must be proactive while in all the rounds of the interview so that they will be near to grab the position. The officials will promote the aspirants who perform well in the initial series of the personal interview. Apart from this, check the below table which gives the details about the Walk-in Date & Time for the Interview together with the interview. When coming to the pay scale for the recruitment, contenders can get high pay scale based on their performance. The officials of the National Health Mission will offer INR 1,00,000 per month to the selected candidates. As per the NHM Recruitment 2018 Notification, there is no application fee. So, for any other information about the application, please refer the official notification from the below link. All the contenders who want to apply for the released NHM Haryana Recruitment 2018 must check this section because it gives you the process to apply. Job appliers must satisfy the above eligibility criteria. And who have the desire to work as the Specialist Doctors can focus this page for better knowledge. here will a walk-in interview process offered by the officials. So, the interested and even the eligible contenders must download in the prescribed form from the official website nrhmharyana.gov.in. Nextly, the verification process. For that, the postulants must have their application and should carry one set of the self-attested photocopies to prove their educational qualification including attempt certificate, age, Date of birth Certificate, etc. Remember that you must send the offline application form on or before the last date, i.e., 8th August 2018. All the documents together with the application form must be sent to the address mentioned below. If any of the contenders get any doubt relevant to the NHM Haryana Recruitment 2018 Notification, they can come to this frequently to our Sarkari Naukri website.